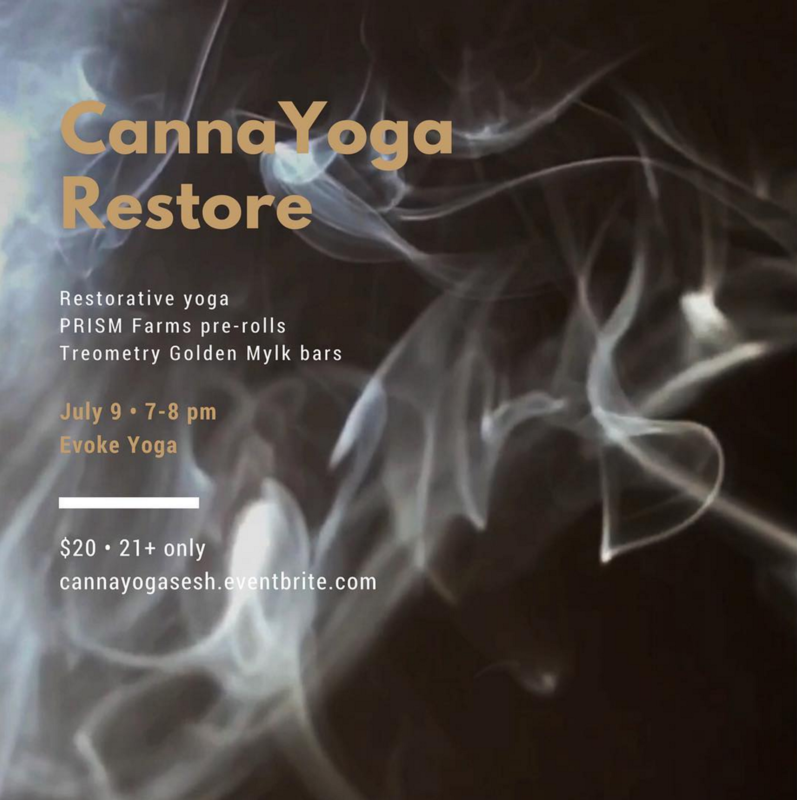 Cultivate presence, connect to your body, awaken your inner healer, and release tension in an hour-long cannabis-infused yoga session, led by teacher (and student!) Lauren Sanders of CannaYoga. An emphasis on mindful cannabis consumption, gratitude, and self-love is infused into each class to bring you more in touch with your authentic self. All levels are encouraged to join. De-stress and revitalize as you're guided through mindfulness-based meditations and deeply relaxing, restorative postures, held for 5+ minutes each. Let go and reconnect to the present moment while enjoying PRISM Farms pre-rolls and Treometry1:1 Golden Mylk chocolates. Feel free to BYO preferred medicine as well! Class is from 7pm-8pm. Arrive 15 minutes early to sesh get settled! 21+ only. Bring CA ID for verification.